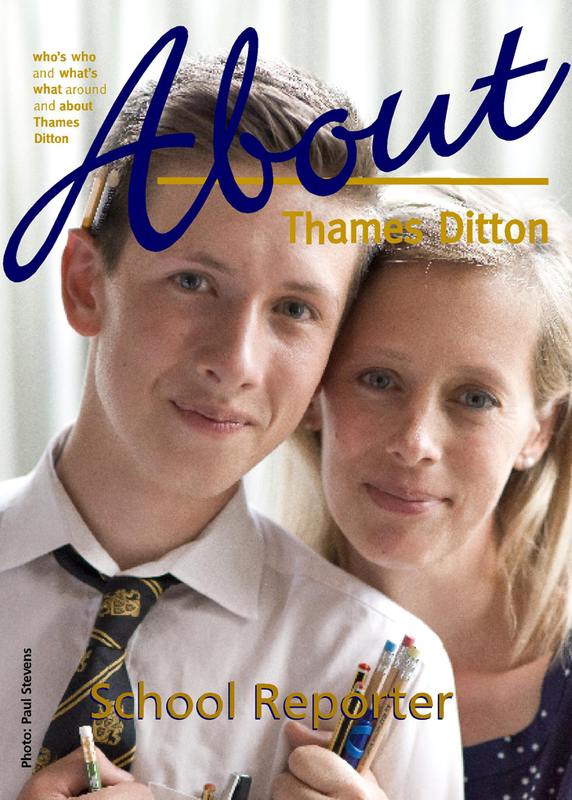 About Thames Ditton is in its 12th year with more than 120 issues produced, we have seen the magazine grow in popularity both amongst readers and advertisers alike. Our readers like to find out about what is happening locally. 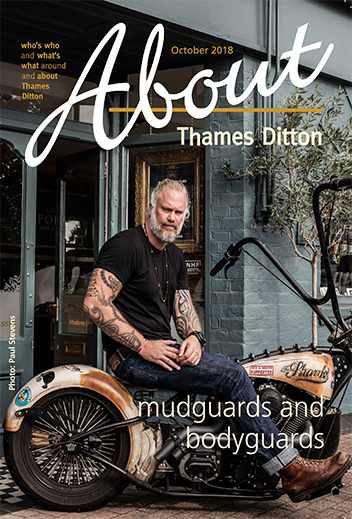 Shops, professional services, craftsmen, clubs and more like to advertise in About Thames Ditton because we deliver to 6500 addresses in Thames Ditton, Long Ditton and Weston Green every month. 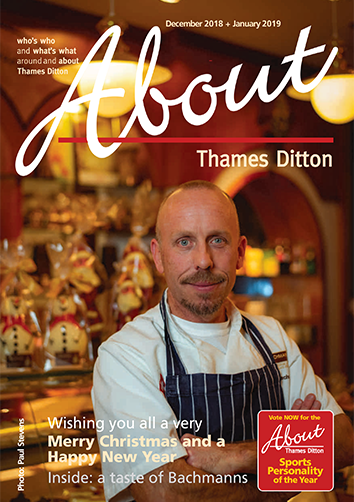 If you are not within our distribution area, you can pick up a copy of About Thames Ditton at selected outlets or you can read our latest edition online. 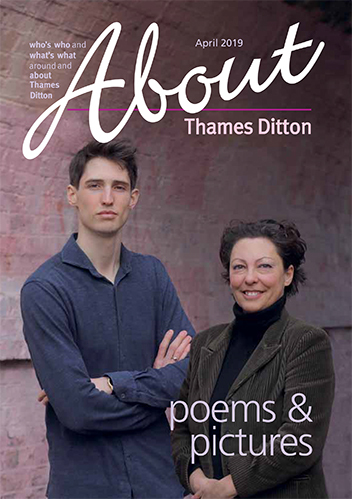 About Thames Ditton is delivered Direct to 6,500 homes and businesses in Thames Ditton, Weston Green and Long Ditton. All advertisers operate in or close to the area. There is strong evidence that truly local services are preferred by the majority of the UK population. Our social media advertising opportunities are available to print advertisers. 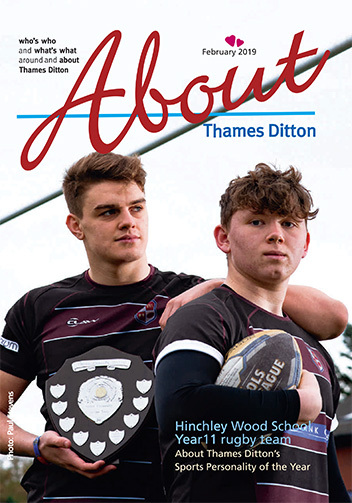 About Thames Ditton leads on print but our strong social media reach is a complementary asset to advertisers that are deepening their digital strategy. 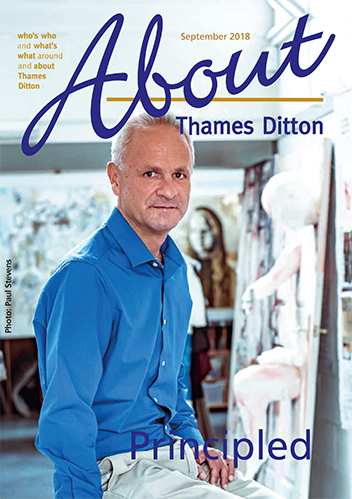 Dozens of people are moving into Thames Ditton every month. In most cases these residents are new to the area and have no local knowledge. They are looking for guidance and ‘About’ offers the perfect opportunity for businesses to get themselves in front of these new potential customers. ‘About’ isn’t thrown away each week like a local newspaper. People keep it as a reference for the whole month. The price you see is the price you pay – unlike most publications where an extra 20% is added to the bill. This is because we are a small independently run business. 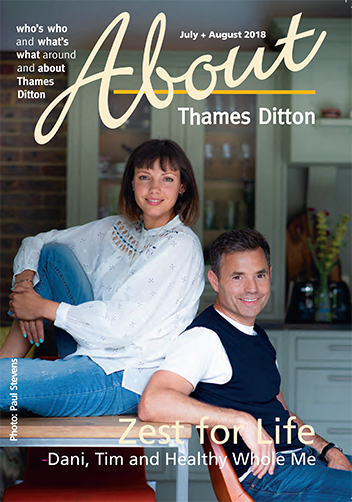 ‘About’ represents incredible value if your target market includes the residents of Thames Ditton. 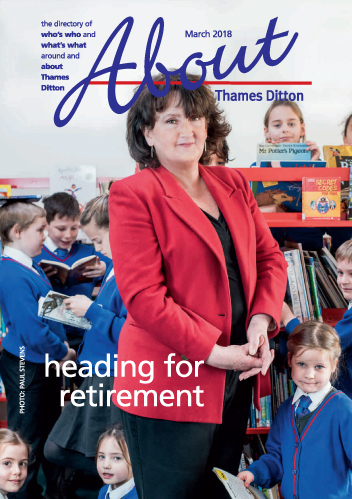 ‘About’ has a very high standard of full colour print and production using 200gsm glossy cover and 115gsm glossy paper inside with perfect binding, which gives longevity to the magazine. All artwork is professionally finished to ensure that you look your best and that your company is proud to be featured and associated with a high quality publication. ‘About’ is very widely read and used. Most of our advertisers will appear month after month because ‘About’ works and will generate business for them. Please confirm booking by the 14th. Artwork must be received by the 16th. On or near the 1st of the month. New customer payments must be received by the artwork deadline date for the first booking. Thereafter, payment terms are 14 days from date of invoice. For series bookings, to receive the discount, payment must be made as a single transaction at the time of booking. We prefer payment by online transfer (BACS). 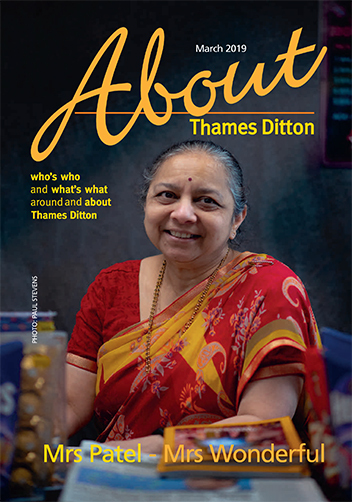 ‘About Thamea Ditton’ is published by Thames Ditton Directory, a small business and is not registered for VAT. Please submit your artwork as a high resolution PDF file or JPEG with a minimum 300 dpi via Wetransfer or email. If your advertisement artwork is not available in an electronic format then we can produce it for you, prices starting from £35, although this may be higher if you have a particularly complex ad! 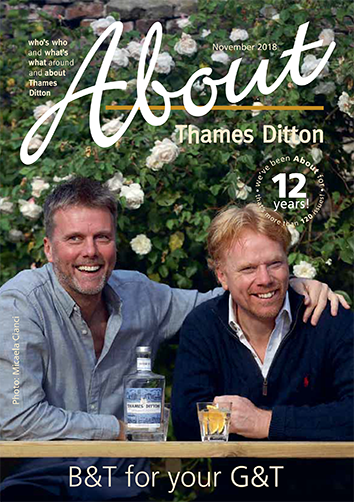 We have advertised in About Thames Ditton magazine for over 8 years. It has consistently brought interested customers to our door and helped our business grow. Susie and her team always go the extra mile and offer practical advice and design ideas. We cannot recommend them enough. 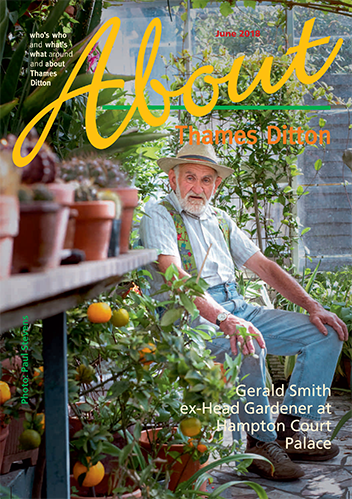 Advertising in ‘About’ is proving extremely beneficial for us – we advertise every month with a special offer , the month we had our two page editorial we gained 34 new customers which was incredible. I have been advertising in ‘About’ for the last five years. I’ve had great success from our community and beyond, also plenty of old and new friends getting in touch as a result. It’s such a fabulous, well read, local magazine. It’s our most effective advertising by a mile. It’s easily outstripping Yellow Pages in performance at the moment. I have been advertising with ‘About TD’ since the first issue and have had three or four new customers per week as a result. 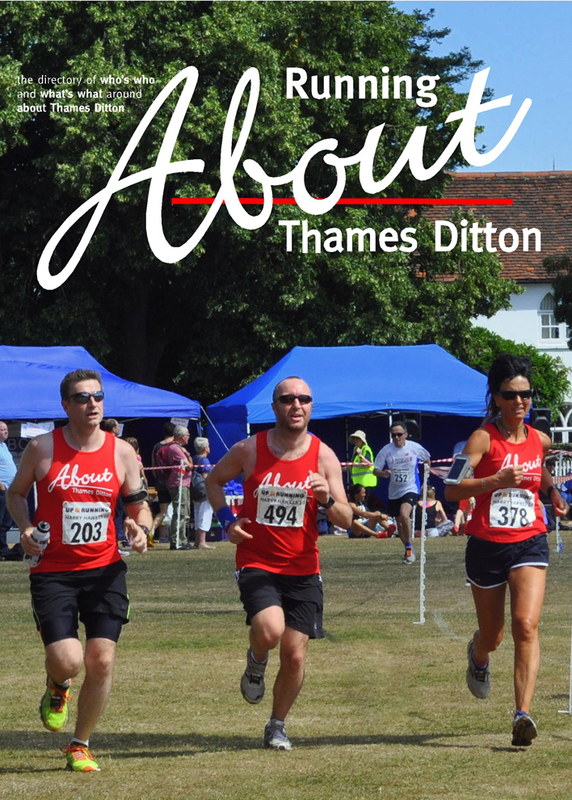 Advertising in ‘About Thames Ditton’ gives you access to our Social Media feeds on our website to further promote your business. About Thames Ditton’s Facebook and Twitter feeds have the most active engagement in Social Media for the village and surrounding areas. We have a Facebook reach of between 5,000 and 20,000 depending on the topic at any one time. We really work hard to push local events and promote them at opportune moments to capture maximum interest.